It turns out that Neanderthal genes carry risk for certain diseases you probably don't want to have. So you'd be well-advised not even to date Neanderthals, let alone sleep with them. After all, you probably don't want your kids to suffer from disease, let alone the stigma of being part of an extinct species. You know how cruel children can be in the schoolyard. I'd also go so far as to suggest not voting for Neanderthals either. We can see the results each and every day. I mean, how do you explain a politician like Andrew Cuomo using his bully pulpit to promote merit pay? After all, it's been around for a hundred years and has never worked anywhere. To me, that suggests something we ought not to consider. But our esteemed governor has no time for research, or history, and throws this forth anyway. In fairness, I can't be 100% sure this is a factor of his Neanderthal nature. But it certainly explains a lot. How do you explain a guy like Michael Bloomberg standing up and announcing that he'd like to double class size for a million kids in New York City? It certainly goes against the small class sizes he demanded when he sent his own kids to a private school. In fairness, said kid likely had a mother who may have had a voice in that decision. But anyone who spent one minute teaching 34 kids knows that number is already too high, and anyone who says otherwise is likely even higher. Or possibly Neanderthal. We can never be sure. 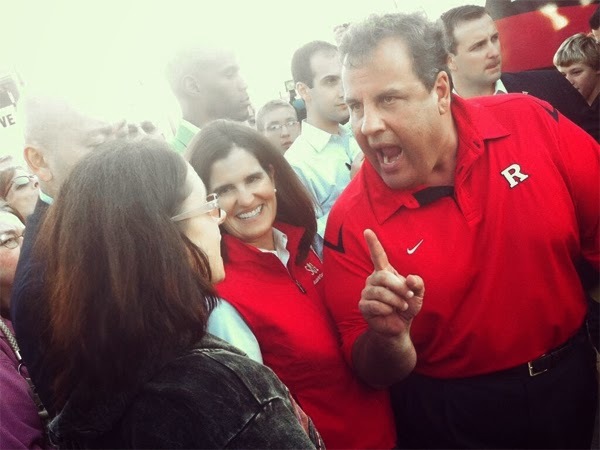 I don't know exactly what to say about Chris Christie. I mean, there he is, sitting on a huge lead in every poll, and he decides to scream at some poor teacher. Next to him is his wife, apparently proud of this decision. We now know that his underlings think creating traffic problems in towns that elect his political opponents is perfectly fine, and it's beginning to appear Christie is fine with it too. It looks like he takes money earmarked for Sandy relief and uses it to help his BFFs build luxury high rises. So, with all due respect to those with other preferences, I'm gonna suggest we go the homo sapien route when looking for partners. And leaders too.